Self-published, 2014. First edition, second printing of 100. 148 pp., 44 duotone illustrations, 6"x8½". A special edition of 10 come with an 8"x10" silver gelatin photo printed by me in my darkroom. Limited edition of 100. Introduction by Julia Dolan, Minor White Curator of Photography, Portland Art Museum. Self-published, 2015. 80 pp., 70 duotone illustrations, 6"x8½". 44 handmade 4"x6" postcards, in 4"x6" archival box with photo on cover, limited printing of 20 sets, 2010. The postcards present the best images from 5 years of photographic wanderings in Portland and throughout the Pacific Northwest. Each postcard is printed using archival pigment ink, glued & trimmed by hand, and signed and editioned on the back in pencil. To view photos of the postcards click here. To view a gallery of all the images in the series click here. to see more images and to purchase click here. Handmade limited edition of 20, 2009. Sewn, tape and glue binding, 54 pp; 26 color archival inkjet photos, 7.5"x7". The was the first in a series of limited edition, handmade artist's books. I shot roughly 200 color Polaroids on a one-week trip in the North Cascades during the summer of 2008, and selected 26 to enlarge for this photo travelogue. You can view a wider selection of images here, and see pages from the book here. Self-published (Blurb book), 2008. 120pp, 7"x7". Features more than 75 black & white photographs from 6 extended journeys toLatin America, SE Asia, the Republic of Georgia, the USA, and New York City. 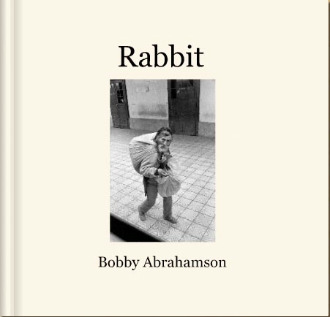 The book has hand-written chapter titles and a fictional letter/afterword by "Jack Rabbit." The images and text weave a lyrical narrative of 14 years of photographic wanderings. It was the catalogue for a multi-media exhibit Newspace Center for Photography in Portland, Oregon in 2008. Introduction by me, afterwords by Robert Frank and Thomas W. Southall. 1st edition, self-published, printed by Artprint in Serbia and Montenegro, 2005. 136 pp., 50 color photographs, 5½"x7¼". The photos document a 3-month's journey across the USA by Greyhound bus (see images here). Robert Frank writes to me (in a letter which appears in the book): 'Nice work human color good size exotic & ordinary in America the photographs show that you had a good trip You must be a good person to be able to feel the liberty to do what you see with heart & camera it shows in all your photos I like your text - the honesty in your acceptance of a spirit in america so profound - so simple'.